200g x 0.0001g The AGZN200 has an outstanding price to performance ratio. At a 200g capacity and 0.1mg (0.0001g) resolution the AGZN analytical balance is versatile enough for any laboratory setting. The scale is built with die-cast metal housing and large glass weighing chamber. 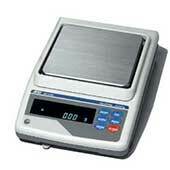 It includes 5 weighing functions including density calculation.